Hangers flex instead of Snap! 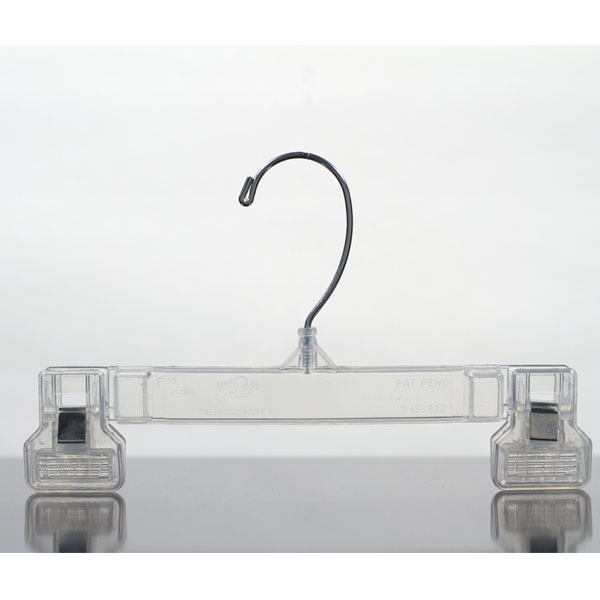 These Grip hangers are made out of a strong heavy-duty K-resin plastic. The hangers feature a space-saving flat body, polished steel swivel hook, and a set of polished steel clips to hold clothing. Hooks designed to hold size hanger markers, sold separately. Search size markers for our complete selection.